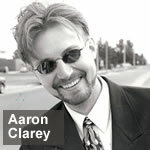 Aaron Clarey is the author of 5 books, his most current being Enjoy the Decline of America. He also an economist, running the blog Captain Capitalism. He talks with Jason about the USD status as the world’s reserve currency, the current environment of political correctness, how the old economic building block of society is failing us and more. [22:30] – they don’t know that by voting Obama in twice that they have fundamentally shifted the tenor of the United States.